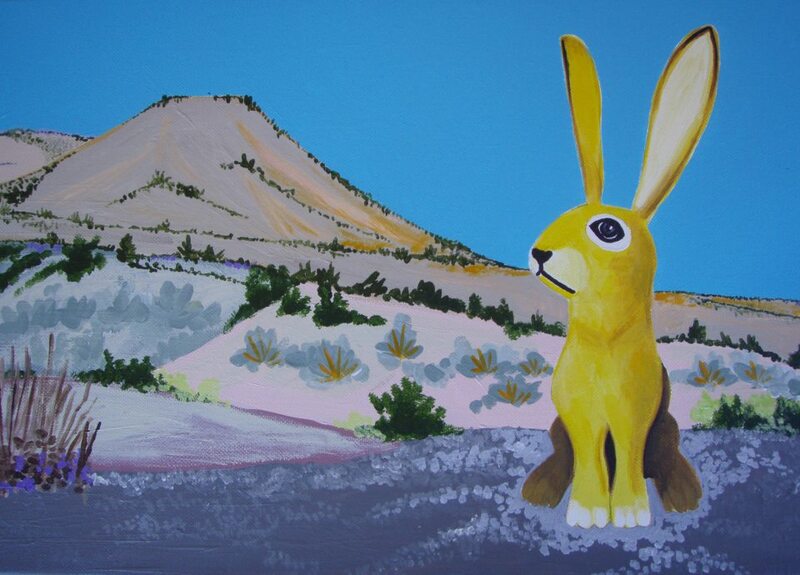 Based on inspiration from one of our favorite folk artists in Santa Fe... we created our own mascot for Northern New Mexico. On the Turquoise Trail, Acrylic on Canvas, 2011. When you see this icon, click on it for something special.